Sensory WallFX is an experiential feast. 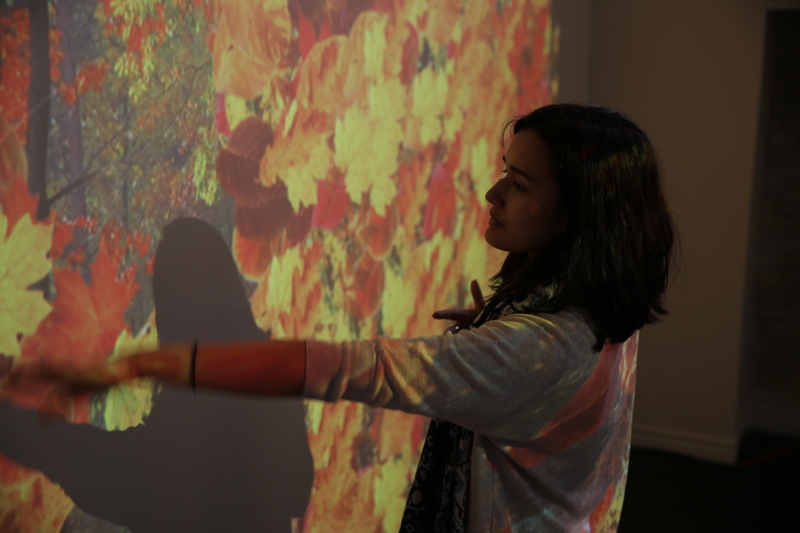 The system’s dazzling virtual reality special effects can be projected onto a wall of any size, creating an immersive experience that can both entertain and educate. It is quickly becoming an essential feature in bringing interactivity to Snoezelen™ and sensory rooms, and hospital wards. Our individualised applications are designed for sensory stimulation and relaxation; they also offer therapeutic benefits for patients with physical and cognitive challenges. GestureTek’s patented virtual reality gesture-controlled software tracks and responds to the most subtle body movements, allowing interaction between the user and the display to happen in real time. 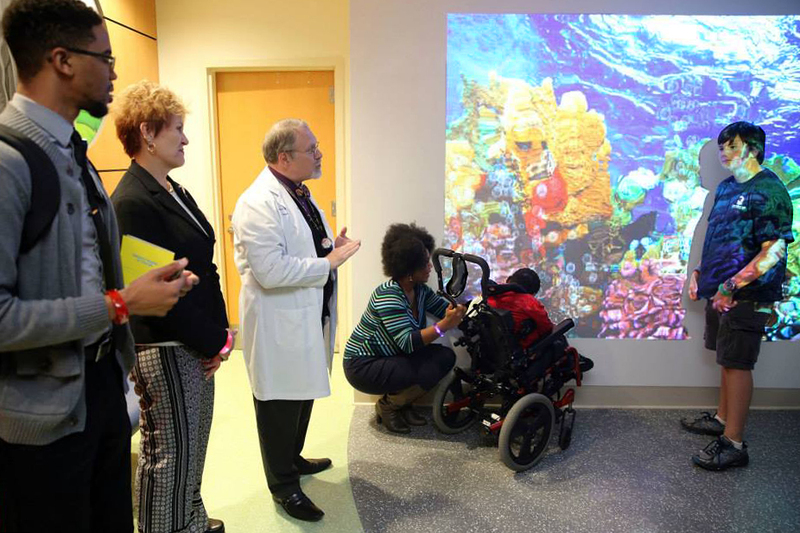 Patients feel empowered as they control spectacular, dynamic images and special effects on the wall with a wave of their hand, a wiggle of their finger or even the blink of an eye. 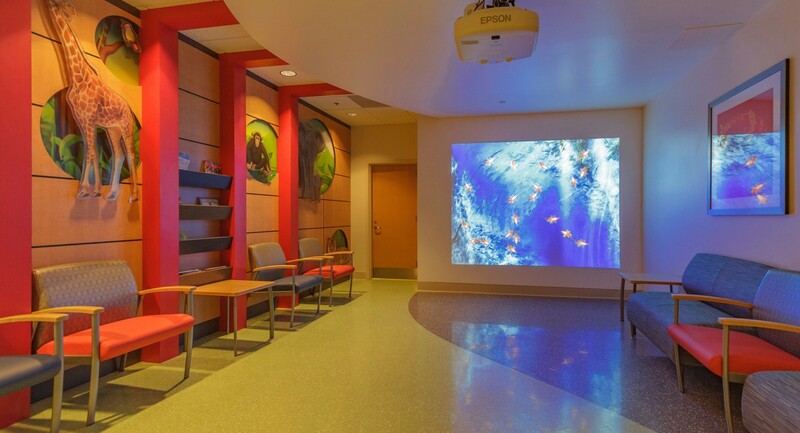 It’s a creative and educational tool that engages patients, stimulates their imagination and reduces the stress of waiting for a medical procedure. 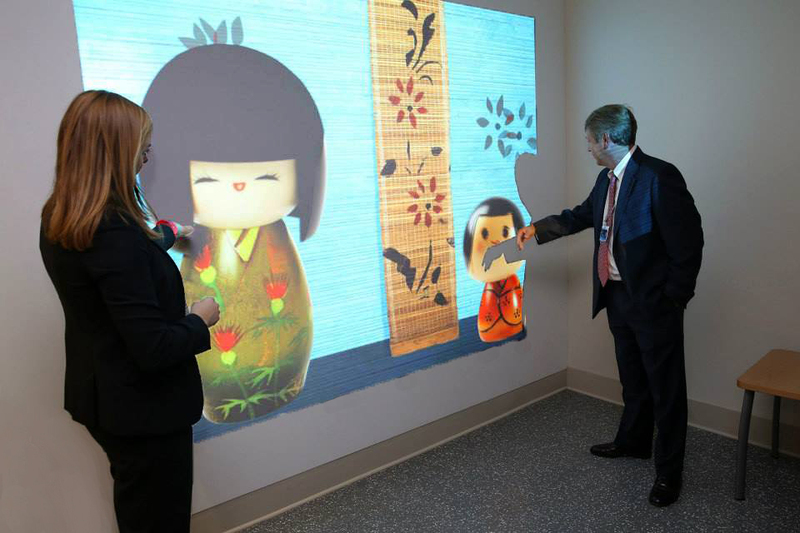 Sensory WallFX is based on GestureTek's patented video gesture control technology. 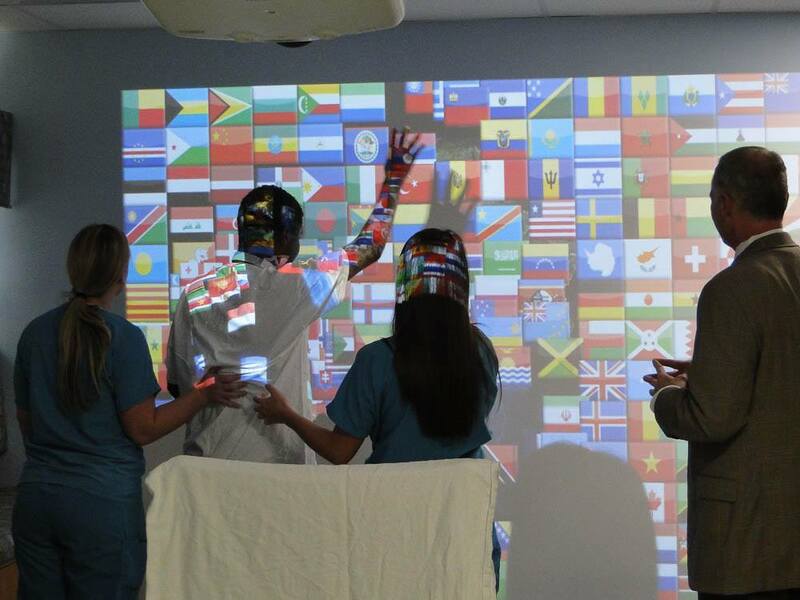 This system showcases interactive virtual worlds where the state-of-the-art tracking software reads the position and movement of the body at all times, allowing for real-time interaction with the display graphics. 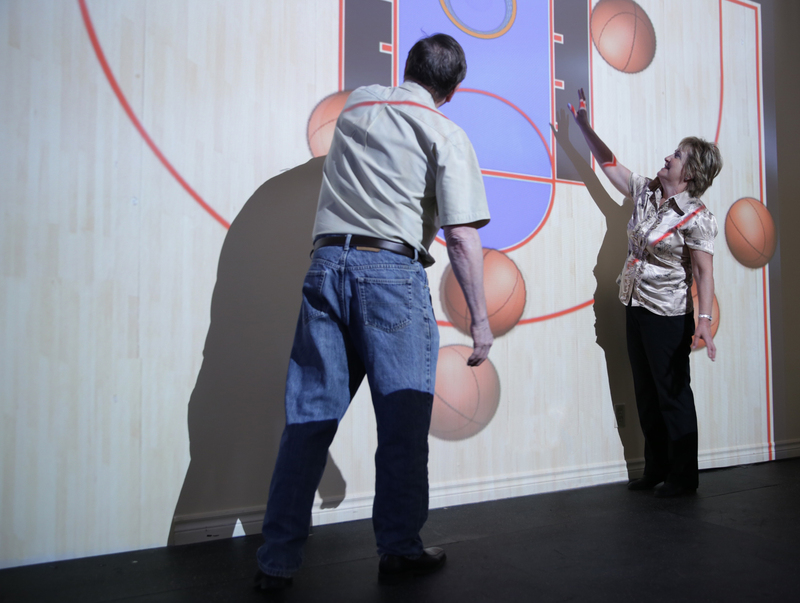 The Sensory WallFX projection image can be any size or shape required. It can either be projected on a wall or displayed on large flat screens or video walls. System installation can be facilitated by system integrators who can assist with facets such as site inspection, installation, and system maintenance. Sensory WallFX can be aided by remote diagnostics to monitors and maintain field units to keep display(s) running smoothly. The system components include: projector, computer, IR camera, IR light source, software, mounting hardware, and a variety of interactive applications. All components are accredited and come with a warranty. 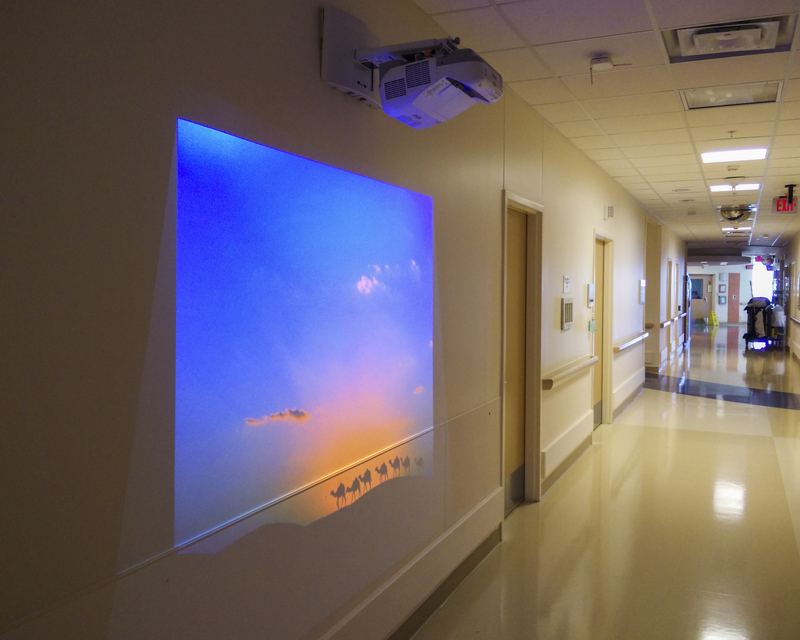 The projector can be ceiling-mounted and all hardware can be hidden from view. GestureTek Health also has turnkey, plug-and-play products for sensory stimulation, patient engagement, and immersive, ambient virtual reality experiences, called the Cube.